Army barracks allow the training and housing of full-time soldiers, rather than militias and citizens-in-arms. Here men can be taught the basics of the bloody business of warfare and brought to a high standard of combat readiness. 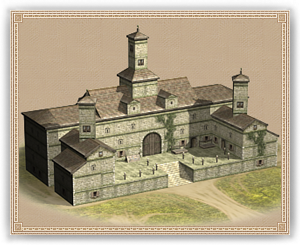 Barracks usually exist to keep soldiers separate from the ill-disciplined civilian world.